Support the SBUSD Education Foundation by Dining at SEA180 Coastal Tavern In IB Monday, September 11th and Portion of Meal Will Be Donated to the Foundation! Take in the sunset with someone special. 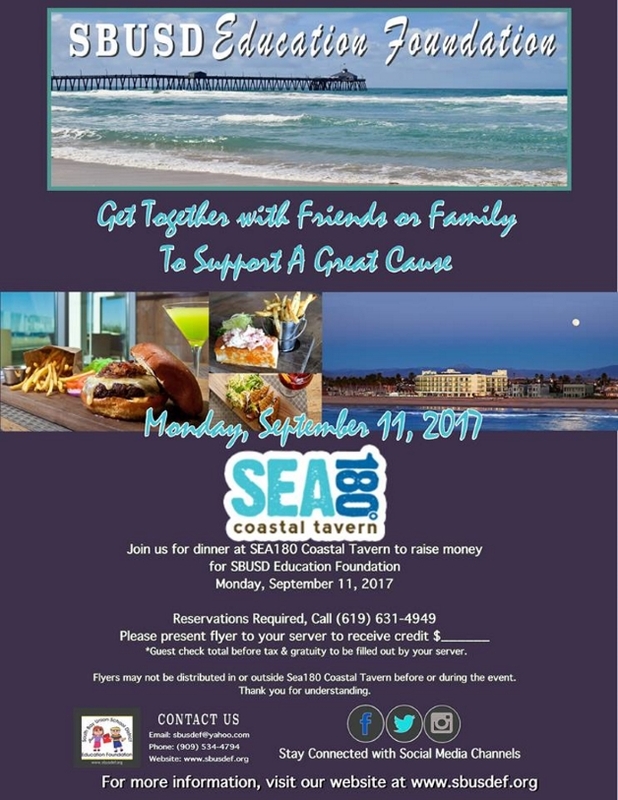 Enjoy a gorgeous evening at SEA180 Coastal Tavern In Imperial Beach on Monday, September 11th. Bring this flyer with you and a portion of your meal will be donated to the SBUSD Education Foundation. We are a local non-profit supporting our very own SBUSD school district with grants to teachers. Like our page to learn more about our mission and activities.